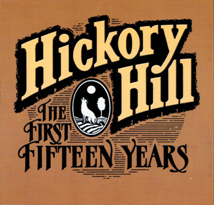 Hickory Hill’s early years are chronicled here with 23 songs chosen from their first four recordings. Partial reviews from those albums, Coyote Night, Special Historical Edition, It’s About Time and Reminiscin’ follow below. "I've rarely heard a band that could project themselves in their music as well as these boys. 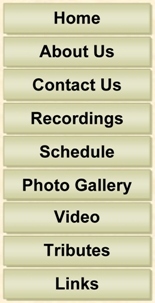 Hickory Hill has found an identity and have expressed it well here..." -- Bluegrass Unlimited. "Hickory Hill, one of Texas' most popular bluegrass groups, gives us another bluegrass gem with this, their second album, and they do it by taking the fine sound and infectious humor they bring to the stage, and somehow transfer it to the record, a feat almost impossible to do in bluegrass music." -- " Houston Chronicle. "...they play and sing well, effectively communicating a band identity, and that makes them a recognizable unit instead of just another bunch of pickers...it's a well conceived, well played, and well produced album..." -- Bluegrass Unlimited. "Coyote Night” proves to be an adeptly produced effort showcasing some first-rate musical talent that readily blends into one common purpose...a convincing debut album…Hickory Hill is going to be around for quite a while." -- Bluegrass Unlimited. "Something that is difficult, if not impossible, to capture on record is a group's personality on stage, their rapport with an audience. Hickory Hill can lull you with their...East Texas good ol' boys demeanor and then blow you out of your seat with their music. You'll have to go and see them in person for that." -- Bluegrass Newsletter.